This is a super exciting blog post about my recent collaboration with the amazing jewellery company 'Le Lapin' who have absolutely gorgeous and unique pieces! The fabulous people at Le Lapin also gave my beautiful blog readers 10% off any purchase on their website over at http://www.lelapinuk.com/ with the special code 'StephLeaMead'! 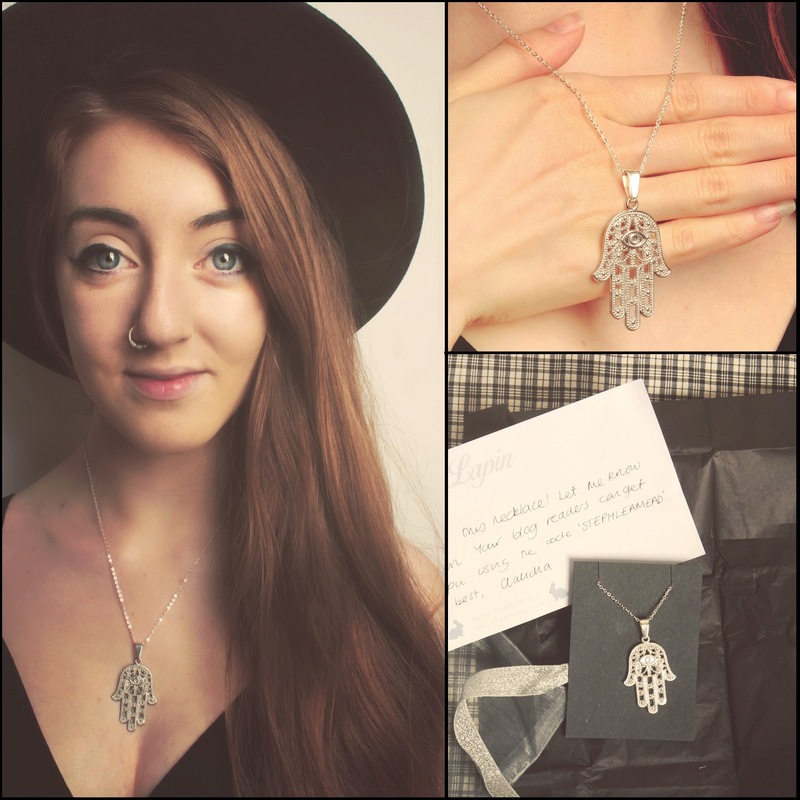 The lovely people at Le Lapin sent me a silver Hamsa / Hand of Fatima pendant necklace which I'm honestly in love with. The Hand of Fatima in Judaism is thought to protect the bearer of the Hamsa from the 'Evil Eye'. The amount of compliments I've received about the jewellery piece is insane! Even strangers in the street were asking me where I got the beautiful item from! Look through the images below to see their incredible packaging, and how I wore the jewellery piece! 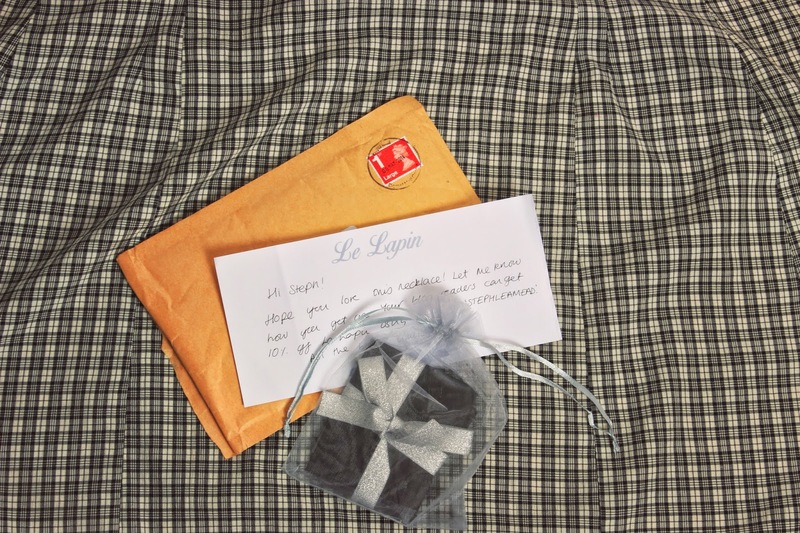 I'm so grateful for this necklace, and really thankful to Le Lapin for kindly sending me it to post on my blog! I'll totally be buying more of their products in the future, as it's so my style, I'm in love with every item. 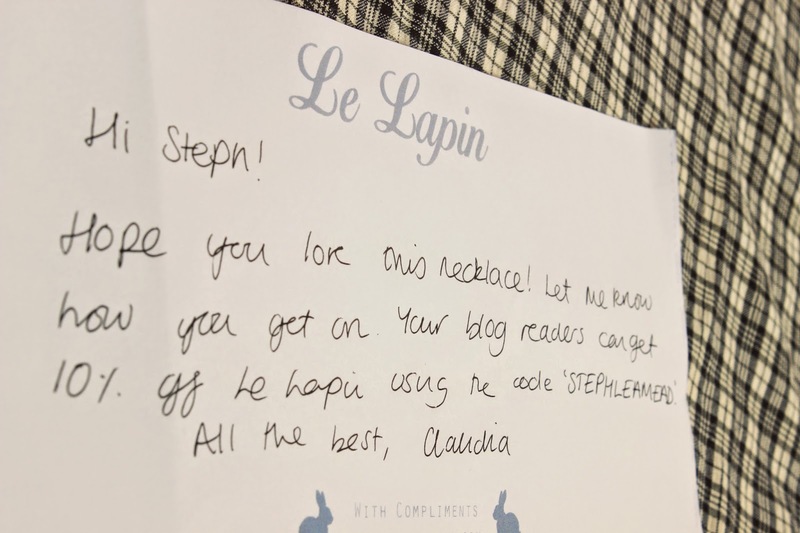 And remember, Le Lapin also gave my blog readers a special code 'StephLeaMead' in order to get 10% off of any full priced item on their website, how exciting! Also, I'll quickly tell you all that I've just got a DePop account with some bits and pieces for sale, so if you'd like to have a look, go here: http://depop.com/en/stephleamead Depop is an awesome app! Thanks for reading! If you have any blog requests or want to collaborate with me, just like Le Lapin did, email me at stephl.mead@gmail.com or message me on Instagram, Twitter or Facebook! Wow, my handwriting looks terrible! That's a beautiful necklace! 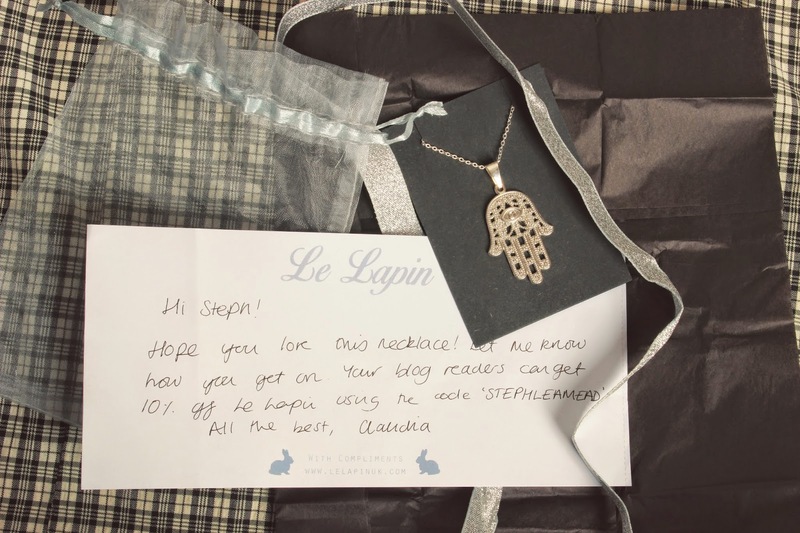 I really like the look of Le Lapin jewellery, it's right up my street!